How much time do you think it takes to set up membership management software for your organization? With Wild Apricot, it takes about 20 hours. This may seem long, but in just a few afternoons new customers are able to have everything for their organization (website, contact database, event calendar, online registration and payments, etc.) set up all by themselves. That's because we've built Wild Apricot to be an easy, do-it-yourself system. 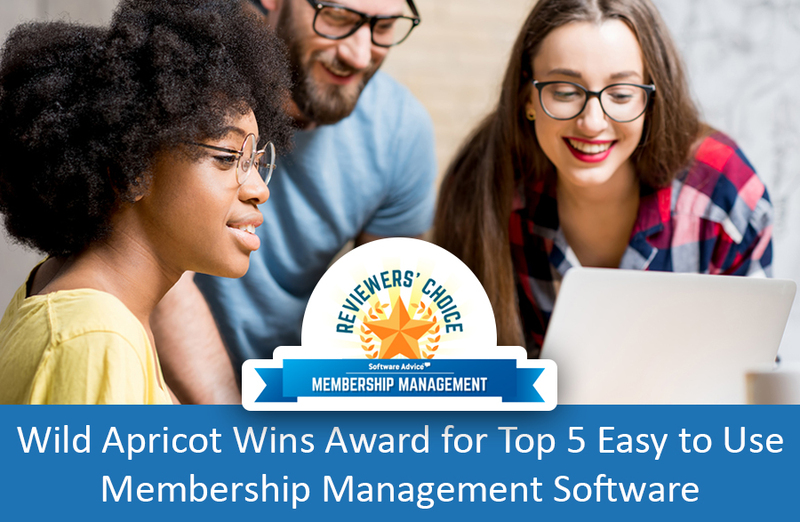 And so it gives us great pleasure to tell you that Software Advice, one of the top software review sites, just awarded us their Top Five spot for Ease of Use when it comes to membership management software. My organization is entering our third year with Wild Apricot, and we are still enthusiastic supporters of the software and the people behind it. Ridiculously easy to set up, use and maintain, this software has allowed us to truly be a dynamic AND virtual club. Being of the "older generation" and not having grown up with computers and programs, I was somewhat dubious about using Wild Apricot (WA), but I was very quickly surprised as to how easy it is to learn, to use efficiently and effectively, and the "power" of all the multiple applications available. The Wild Apricot platform has improved our ability enormously to communicate and service our members. As a result our organisation is more responsive and agile. It is simple to use but powerful in its functionality... I would highly recommend wild apricot for any organisation that needs to serve a membership. If you'd like to read more of the 340 reviews of Wild Apricot, where we're also rated highly for functionality, product quality, customer support, and value for money, click here. In the next section I'll cover some of the easy-to-use features our customers love. And if you do find yourself stuck at any point, get in touch with our friendly support team for free. They’ll be more than happy to help you setup your account as quickly as possible.